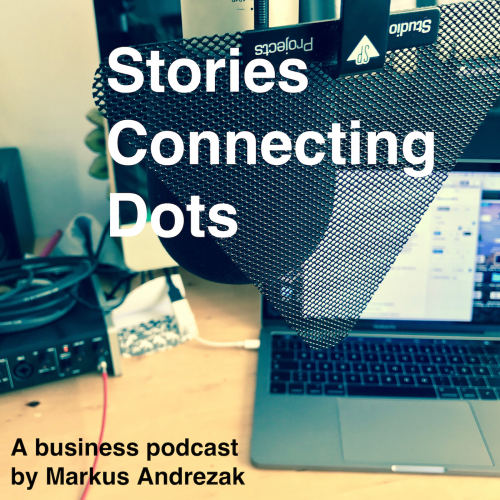 I’ll be publishing the Stories Connecting Dots podcast roughly in a monthly cadence. Stories Connecting Dots is born from my belief that there is not one way, but many. That an inclusive or is the best bet, most of the time. (As being inclusive is anyway.) Companies have to deal with all sorts of change and they come up with the most diverse and surprising solutions. I think a podcast will be a good way to deal with and understand that diversity. The conversations will be held in German with German native speakers and in English otherwise. I’d greatly appreciate your feedback, input, questions suggestions. So, yes, the first episode is in German. Many will be in English. what Kanban actually is and how it can help companies to make things explicit, decide in better ways and how it is a thinking tool. Remark: I’ll soon start announcing my blog posts via my newsletter. If you’d like to be informed whenever a new blog post comes up, please subscribe here. Thanks!